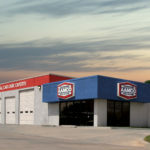 AAMCO, the world’s largest transmission franchise, is one of the oldest franchise systems in the nation, as well as one of the most forward-looking brands in the $63 billion auto repair industry. Founded in 1957, AAMCO has proven to be a sustainable, proven business model through 12 presidential administrations and several economic recessions. It has helped hundreds of entrepreneurs realize their dreams of small business ownership. 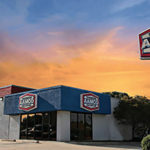 The reason AAMCO has thrived through the decades is the same reason it thrives today: AAMCO has a unique ability to be ahead of the times from both a consumer perspective and a franchisee perspective. In recent years, AAMCO has made significant investments in training and technology to simplify the brand’s iconic business model. The result of these efforts is overwhelmingly positive: AAMCO is a wise investment for entrepreneurs without auto repair experience, and the business model is so streamlined that existing franchisees are opening new centers in record numbers. Beginning with AAMCO University, a state-of-the-art training facility in Newnan, Georgia, AAMCO franchisees have access to over 250 hours and more than 300 courses focused on comprehensive business ownership principles and procedural applications. Each independent AAMCO franchisee is positioned to be a leader in their community and industry with an eye on establishing, developing and growing steady income and long-term business value for every location. This comprehensive education platform also extends to the technicians that franchisees employ, making it a recruitment and retention tool that helps franchisees become employers of choice in their communities. To further simplify the brand’s business model, AAMCO rolled out a new POS system that provides the ability to create estimates and invoices for customers much more quickly and easily, driving revenue for franchisees in their centers. The cloud-based system is accessible from anywhere in the world, and it provides a suite of tools designed to provide executive-class analytics on business performance. This makes it easier for franchisees to truly know their businesses and to take informed steps to make their businesses grow. Because AAMCO focuses on transmissions, one of the most complicated and expensive items in all of auto repair, the brand launched a new consumer financing platform to help franchisees win more business and lessen the burden on their customers. 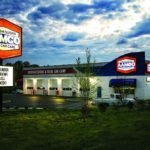 AAMCO’s investments to simplify the business have won enormous praise from the franchise industry. Entrepreneur magazine named AAMCO as the No. 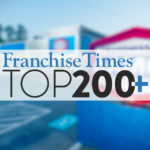 1 franchise opportunity in its category for the fourth consecutive year in 2018.